Founded in 2017, the Lotus Lee Foundation is a nonprofit theatre organization in New York City partnered with the Lotus Lee Drama Studios which was founded in China in 2015. 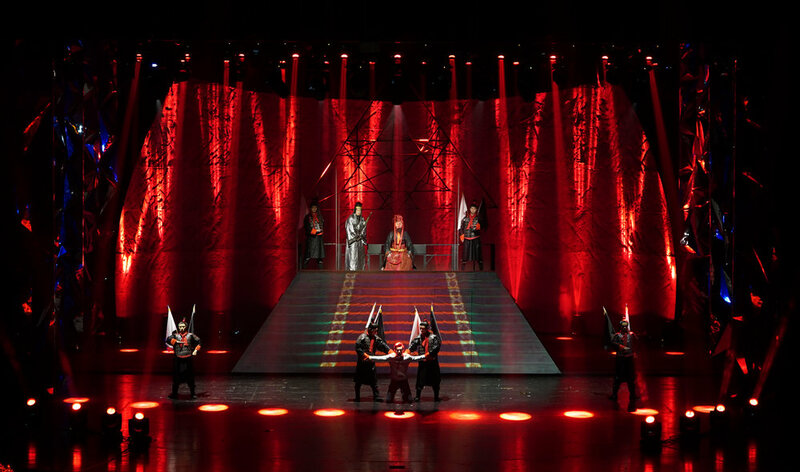 Lotus Lee is a pioneer of theatre in China specializing in theatrical planning, investment, production, performance, marketing, and bringing new technology to the theatre. We have a large presence and following in Chinese international cities such as Shanghai, Beijing, and Guangzhou and are growing here in the east coast of the United States. Lotus Lee Foundation was founded to help realize these goals. This is why we have an open submission for new works which will get produced in China and New York City and a video project that will give young artists the opportunity to share their experiences of being an artist on Broadway and Off-Broadway. We also have a future series of workshops and discussions that deal with new technology in theatre, playwriting, theatre in the Chinese market and touring internationally. Lotus Lee also recently commissioned and produced The Three-Body Problem in China. It premiered at the Shanghai Culture Square in June of 2016 and is still touring China. We are also now in the process of bringing it to the United States and producing The Three-Body Problem II. The Three Body Problem is based on the award-winning science fiction novel of the same name by Liu Cixin. To tell this rich and complex story, we created a 3-D multimedia world. We use unmanned aerial vehicles (UAV), 3-D mapping, hologram projections, and other high-end stage technologies that make it a visual feast for the audience.